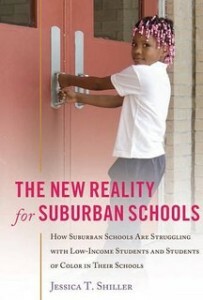 Marc speaks with Towson University professor and author Dr. Jessica Shiller about her new book The New Reality for Suburban Schools: How Suburban Schools Are Struggling with Low-Income Students and Students of Color in Their Schools. Dr. Shiller is Assistant Professor of Education in the Department of Instructional Leadership and Professional Development at Towson University, where she focuses on urban education and was named an Emerging Educational Leader by the Phi Delta Kappan magazine. Dr. Jessica Shiller will be discussing The New Reality for Suburban Schools at Towson University’s Cook Library on February 17th at 5pm. More information is available here.